BRANDON, Man. ­­– A new research project at Brandon University (BU) will help rural Manitobans get their good ideas to market. 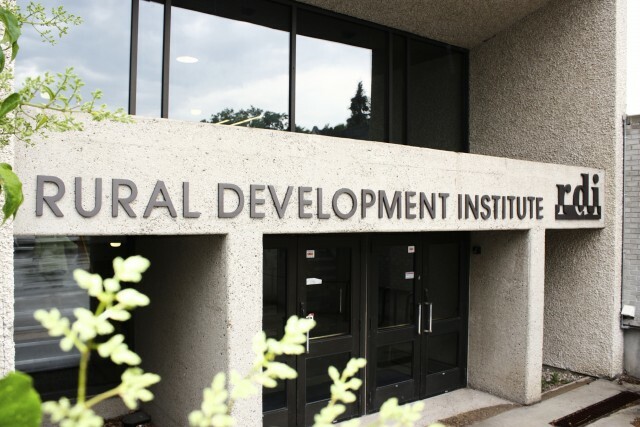 The Rural Development Institute (RDI) has received $182,000 in funding from the Canada and Manitoba governments through Growing Forward 2, a federal-provincial initiative, for a two-year research project examining Rural Innovation in Manitoba. Focusing specifically on the agri-food sector, and on barriers to commercialization, the research aims to close the “innovation gap” and help unlock the value of rural Manitoban ideas and knowledge. The research will address the systemic barriers that affect the commercialization cycle as experienced by innovators and stakeholders in the Manitoba agri-food industry. Researchers will also investigate southwestern Manitoba’s innovation culture and risk-adversity within the context of the province’s agri-food industry. “Our focus with this project will be rural Manitoba,” Ashton said. “It is a less studied area when it comes to the commercialization aspects of innovation. By generating a range of strategies, tools and support programs for agri-food innovators, researchers are expected to improve export and manufacturing opportunities in rural Manitoba, facilitating entrepreneurship. These improvements will benefit many agri-food industry stakeholders, from scientists and researchers to economic and industry professionals, including financing agencies, patent lawyers and business advisors, as well as government organizations. This project is made possible through partnerships with many individuals and organizations: Community Futures Westman, Innovate Manitoba, Life Sciences Association of Manitoba, Manitoba Food Development Centre, Southwest Regional Development Corporation, and Westman Agriculture Diversification Organization. These organizations are adding value to this project by offering knowledge, experience, contacts and cash contributions. The number of project partners is expected to increase over the duration of the project.